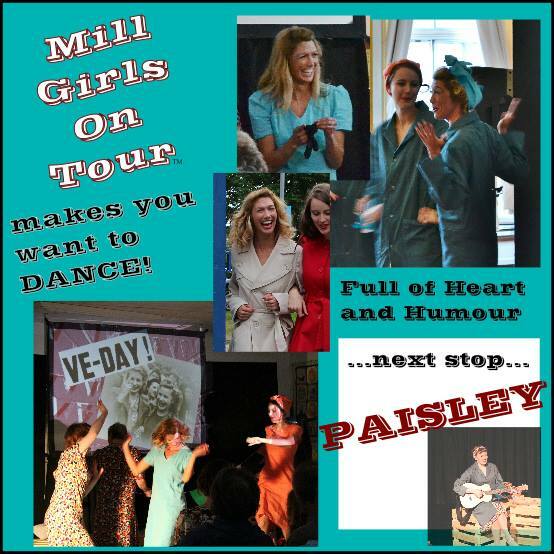 Paisley’s Mill Girls were unique with their swagger and radicalism: from factory floor and war efforts to friendships and love, ‘up the dancing’ in their finery, protesting for equal pay, striding out in their thousands…..’making a whole town stop’. Theirs is a familiar story taking its place alongside the great mill towns of Britain and the rich social history of working people. A poignant tribute to the mills legacy, the making of a place and its people.